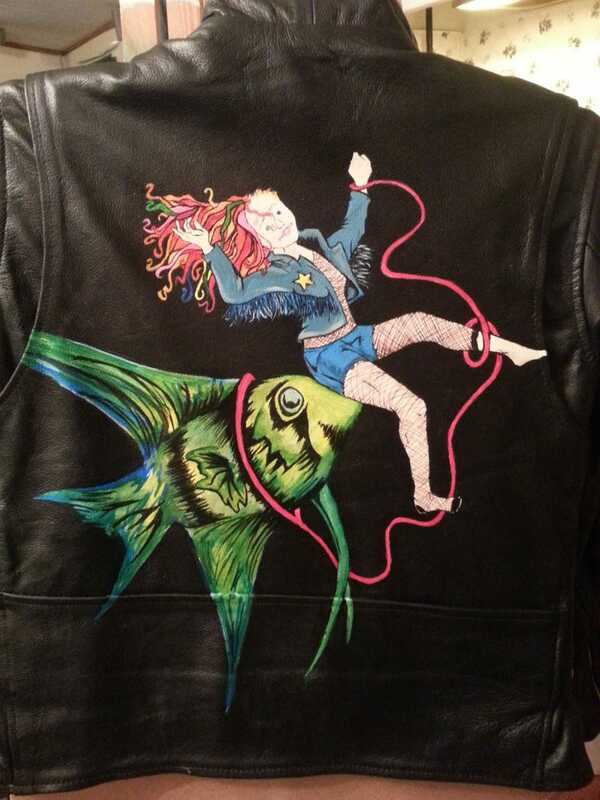 I finished the back of my leather jacket. I just put on a coat of finisher and am now having a celebratory piece of GF bundt cake. I will do a How-I-Did-It post in Craft Club later, but not tonight. I'm just so excited I had to share. Thank you again, Katana Liegh, for drawing this excellent picture of my idea that I based my artwork on. Figuring out how arms and legs should go is not my strong suit.